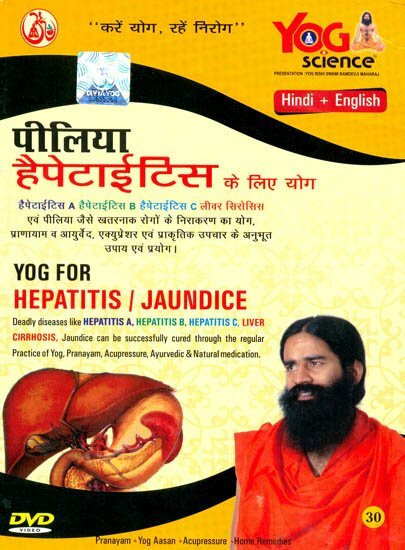 Deadly diseases like Hepatitis A, Hepatitis B, Hepatitis C, Liver Cirrhosis, Jaundice can be successfully cured through the regular practice of Yog, Pranayam, Acupressure, Ayurvedic & Natural medication. Due to continuous consumption of Alcoholic drinks, cold-drinks, oily and junk food; crores of people are suffering from deadly and dangerous diseases of Liver. This DVD comprises of the special package of yog & ayurvedic treatment which will surely bring a ray of hope for the depressed & demoralised patients. A Myth prevails in Allopathic medication that Hepatitis and Liver Cirrhosis is Incurable which has been broken and now they are Curable by constant & regular practice of Yog Acupressure & Natural Ayurvedic treatment. All this is strongly supported by the Pathological tests of the cured & Satisfied patients.